AwaHoshi had the wonderful opportunity to meet Phyllis Krystal when she was in her 80’s and still traveling and presenting her wisdom at the Mind Body Spirit Conference in London. The infinity of forgiveness symbol is included on this web to support your journey towards self independence. Phyllis recommends doing this symbolic visualization first upon rising before you get out of bed and right before you sleep for at least two weeks. During this time you are asked to keep a diary of your memories that emerge about life experiences with the person you have placed in the top circle of golden light, visualizing yourself in the lower circle of golden light. To further work with this process you can set up a time for a private phone consultation in either Italian or English at the Miamo Foundation or come to a retreat so that the ‘ties that bind us’ can be released. We have seen this technique help so many people and are honored to have met the founder, Phyllis Krystal, and share with you the profound liberating results. Look at the colours of the Mandala and let each colour bring a balance to that area. If you are attracted to one colour more than another go into introspection and check what is going on in your life now that brings you to that colour. Allow yourself to feel balance coming to your complete being- whole and integrated. In these process’ you will learn to contact with your higher consciousness and that of the universe. Phyllis Krystal refers to this as your “Hi C”. It is advised that for the most profound results that you listen to a recording of AwaHoshi crystal sound during this process. Phyllis Krystal died peacefully in sleep around 5 am on December 10, 2016. She was 102. 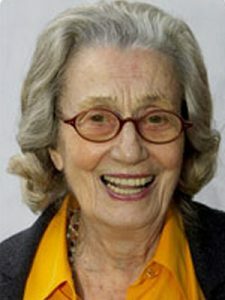 Phyllis Krystal was born in London, England in 1914. She graduated from Bishop Otter College in Chichester and taught at the high school level for three years before moving to the United States. There, she married Sidney Krystal, a prominent Los Angeles attorney. They had two daughters, Her first book, Cutting the Ties that bind, was published in 1982, followed in 1990 by Cutting More Ties that Bind. A workbook to accompany these two books was also published.